There are several reports at WebmasterWorld where users using Firefox are claiming that the only way to search at Google is to turn on their cookies. I've personally tested this in a few Firefox browsers and cannot replicate it. I've turned off cookies but Google still lets me conduct my searches. But at this point, there are just too many people complaining about it to not raise an eyebrow. There are tweets, forum posts and so on. Google told me this is something they are "not testing or rolling out." So maybe it is a Firefox issue? Maybe it is a bug in Google that Google is not aware of? Or maybe Google is not telling the truth and they are testing something? I am not sure. 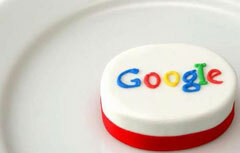 Lately I've been unable to use Google Search without having cookies allowed. Not always, just occasionally. Today it seems to be consistent, no cookies, no clicking thru from the basic G search results page. Is that new, or just some kind of testing? This is a new one on me. With Firefox 10 newly installed nothing happens when I click on a Google SERPs link, but I have no problem with Bing, or the Google ads! Switching to other browsers solves the problem too. I re-installed Firefox 8 and still get the same problem! Short of switching permanently to Bing, can anyone offer a possible solution? Do you have this issue? Can you replicate it? This was a bug that was flagged and the team quickly resolved on Thursday. We apologize for any inconvenience. Image credit to Bill Alldredge on Flickr.